Barcelona, February, 2017. IESE’s Alumni Association board gathered on Wednesday and presented the school’s Annual Report. 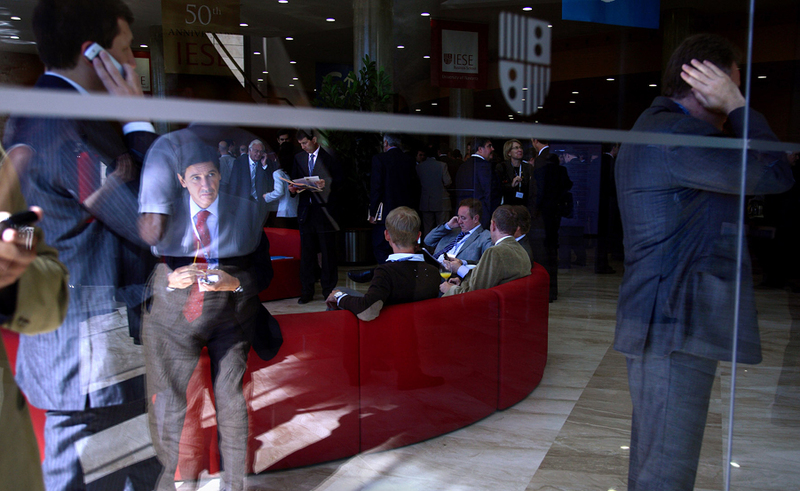 IESE continued this year to help job creation with 4,700 new job positions coming from the support to entrepreneurial ventures through IESE’s venture capital fund FINAVES and its Business Angels network. IESE´s Business Angels Network alone has invested a total of €4.9 million to finance entrepreneurs, launching 29 start-ups. Moreover, in line its commitment to its alumni, IESE offered 226 sessions worldwide that had an attendance of more than 32,000 participants. This comprehensive lifelong learning program is part of the school’s range of activities dedicated to its community, with annual career counseling sessions, mentoring programs and networking events. Also on Wednesday at the Alumni Association board´s gathering, five merit-based scholarships were presented on behalf of the school´s alumni to nine outstanding students accepted to begin their full-time MBAs at IESE. Additionally, the association awarded IESE profs. John Almandoz, Eric Weber and Xavier Vives with a special recognition for their excellence in research. Since 2002, these awards have recognized outstanding research contributions. The Alumni Association has just launched a new app for its alumni. Through this new application, alumni will be able to access videos and articles on demand, enroll in events, follow e-conferences, contact colleagues through the digital directory and receive news updates on the Alumni Association. “We have joined the Digital Revolution to offer more value to members of the Alumni Association. We want to know them better and to be able to communicate events and content they are interested in, and harness new technologies so that they can strengthen their contacts network. The app with help extraordinarily to make this possible, “explains Javier Muñoz, director of the Alumni Association. Founded in 1959, the Alumni Association of IESE currently has 44,695 alumni of 136 nationalities in 123 different countries.